Zsolt Németh, the chair of the Hungarian Parliament’s Foreign Relations Committee, first realized the real extent of troubles surrounding Hungary’s relationship with the United States when he presented at a conference in Washington D.C. earlier this fall. Mr. Németh spoke fairly candidly with the right-wing Válasz.hu website on Tuesday (the online presence of the Heti Válasz weekly, which was founded under the first Orbán government (1998-2002) as a right-centre political magazine), and noted that “problems are piling one on top of the other” for Hungary, in terms of its relationship with its key transatlantic partner. Mr. Németh asserts that he spoke with Viktor Orbán personally, upon returning from Washington, highlighting the “serious problems” in Hungary’s relationship with the US. Mr. Németh observed that there are three layers of the unprecendented diplomatic row between Hungary and the US, which saw American authorities ban six high-ranking Hungarian government officials, possibly including the chief of Hungary’s National Revenue Agency (NAV) and pro-Fidesz businesspeople, from entering the US, due to their involvement in corrupt business dealings and a bribery case concerning an American company. 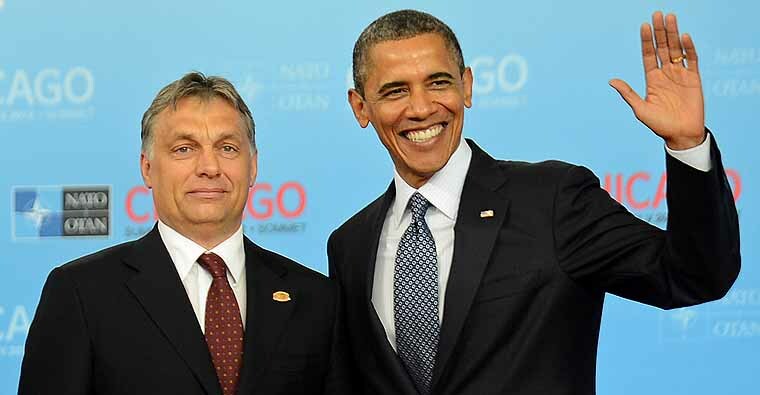 It is widely believed, however, that following criticism of Hungary’s political regime by Barack Obama, Bill Clinton and Assistant Secretary of State Victoria Nuland, the decision to ban entry to six Hungarians (something that is unprecedented within the European Union) was also meant to send a message of deep dissatisfaction with Budapest and Mr. Orbán’s avowed efforts aimed at constructing an “illiberal” state in the heart of Europe. AFP file photo. US President Barack Obama (R) greets Prime Minister of Hungary Viktor Orb·n at McCormick Place in Chicago, Illinois, during the NATO 2012 Summit May 20, 2012 . AFP PHOTO Jim WATSON. Concerns and accusations surrounding specific examples of high-level corruption among Hungarian state and government officials. Mr. Németh believes that the third layer of the current diplomatic scandal has to do with Mr. Orbán’s infamous speech from this summer on building an “illiberal state” in Hungary, as well as with the government’s hesitation vis-a-vis sanctions against Russia, following the covert invasion of Ukraine by Russian soliders. André Goodfriend, U.S. chargé d’affaires in Hungary, did not mince his words in terms of laying out what is at stake for Hungary. He warned that levels of corruption in Hungary are now so high, that there may come a point that the U.S. may no longer consider Hungary an ally and partner. “The situation, if it continues in this way, it will be impossible to work together as allies,” said Mr. Goodfriend. Speaking to the New York Times, Bálint Magyar, a former education minister in the previous Socialist-Free Democrat government, believes that Mr. Orbán’s people “thought they could bluff their way out” of the current predicament. “And now, they have lost already,” Mr. Magyar added. I can’t believe this. 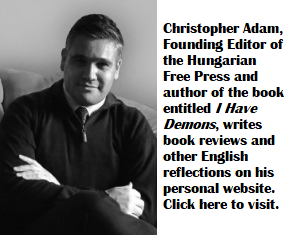 I, as the biggest skeptic of that the U.S. has the smallest interest in what’s going on in Hungary must see they are acting. What is the king going to do with it? What would you do in his shoes? I think Orban in his constant hangover is going to apply his good old the “hair of the dog that bit me” recipe and will cure a scandal by creating a bigger one. Or running into the arms of Putin for protection pouring all the filth on him only to get a big punch for embarrassing him. Did I say something there above that Orban will cure the scandal with a bigger one? Here, the internet tax. Now he gave the people something to be angry about and to forget the corruption scandal. And the internet tax will also give him money enough to cover the extra expenses of rewarding the police for subduing the demonstrations and for placing the people under higher terror and pressure. Good one, what will be next?